ARE YOU READY FOR CANADA’S FAST APPROACHING LEGALIZED CANNABIS INDUSTRY? The Canadian cannabis market is growing and now with the legalized market starting on July 1st 2018 we need to prepare. 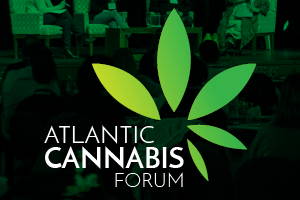 The Cape Breton Partnership invites you to join us for Atlantic Canada’s first cannabis forum where we will be discussing and presenting on the expected upcoming changes and help you prepare for this new emerging market. We are bringing together industry experts to share what they have been doing and their recommendations. Experts from production, extracts, distribution, retail, and policy will be here to answer questions in what has worked for them and what we can expect to happen within the next year. Let your voice be heard as we have discussions in what model would work best in Atlantic Canada. Marijuana will soon be available to consumers across Canada. Businesses large and small are preparing and looking for answers. For more information, visit http://atlanticcannabisforum.ca/.